This grass is a perennial bunchgrass native to the central valley and requires little water, making this beautiful grass a good ornamental species. It is also great for restoration as it is tolerant of disturbed and poor soils and its deep roots can help prevent erosion. 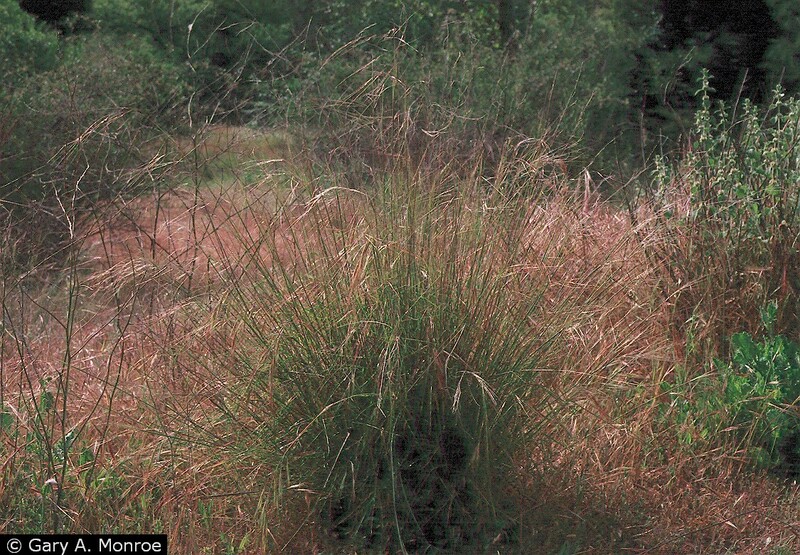 Purple needlegrass can respond well to low temperature, spring/fall fires but does really poor with our summer high heat fires. When green, livestock will eat purple needlegrass but once it has senesced for the year (the awns become very prickly) livestock tend to avoid it. Purple needlegrass is believed to have been one of the most dominant plants in central valley, but through competition with invasive annual grasses, land degradation, and agriculture its range and abundance has decreased. Amme, D. 2003. Nasella Notes. Grasslands: A Publication of the California Native Grass Association 13 (4):3p.